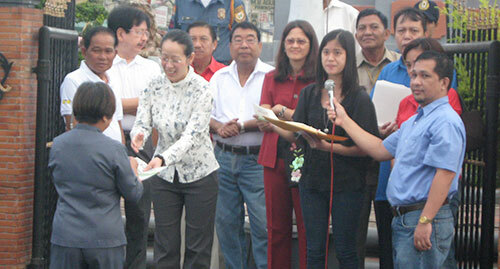 Although it drizzled over the weekend, there was no trace of rain on Monday, November 23, 2009 during the official launch of the Biñan RPTA© Upgrade and Migration Project with Database Cleansing, aRCs©, and aSREs©. This is another successful project of Amellar for 2009. The beautiful morning perfectly capped six months of rigorous project activities in close cooperation with the officers and staff of Biñan, including training, policy consultations, system customizations, planning workshops, and test-runs. 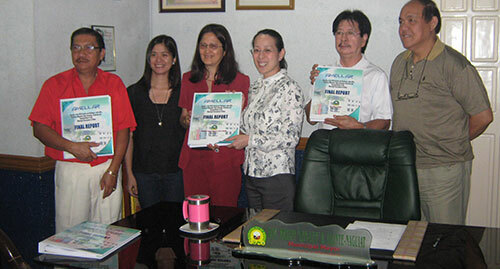 Staged during the regular Monday-flag ceremony of Biñan officials and staff, the launch aims to communicate the objectives of the project to internal and external stakeholders, and recognize the participants who completed the various project-related training. After the National Anthem and the “Panunumpa ng Kawani ng Gobyerno”, Tricia Oriel, Amellar’s Partner Support Analyst and Project Manager was introduced by Mr. Romualdo Garcia, the Municipal Administrator. Tricia gave a short speech about the Project’s scope and profusely thanked the officials and staff of Biñan, especially the Honorable Mayor Marlyn Alonte-Naguiat, Honorable Vice Mayor Walfredo Dimaguila Jr, Mr. Romualdo Garcia, Treasurer Angelito Alonalon, Assessor Danilo Arzola. Ms. Arlene Gella, Amellar Executive Vice President, Efren De Guzman and Erly De Guzman, Production Coordinators, who played instrumental roles throughout the project implementation, were also present. 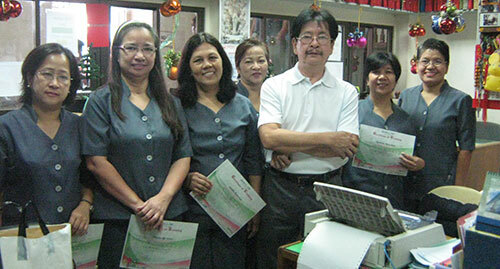 Amellar and Mayor Alonte-Naguiat then awarded the certificates to all training participants. 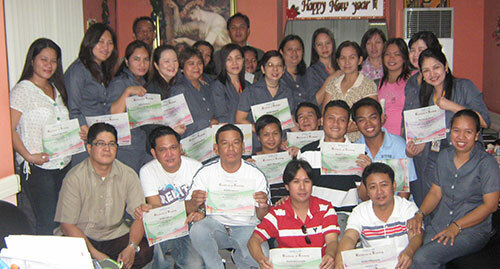 A total of 41 Biñan officers and staff proudly received training certificates for successfully completing the courses on RPTA, aSREs, aRCs, Image Management, Basic System Administration, and Encoder’s Training. At 9:30 am, Amellar presented the Final Report at the Mayor’s Office. The Report is a full documentation of the project, including Amellar’s recommendations for Biñan’s consideration. Despite her busy schedule, Mayor Alonte-Naguiat attentively sat through Tricia’s presentation, which covered a quick run-through of the project schedule, components and accomplishments. 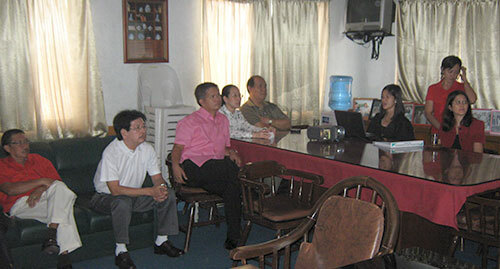 The Final Report was turned over to Mayor Alonte-Naguiat, Vice Mayor Dimaguila Jr, Treasurer Angelito Alonalon, Assessor Danilo Arzola, and other officials present, including Mr. Virgilio Dimaranan, Municipal Accountant, and Mr. Eric Sotelo, Municipal Information Officer.